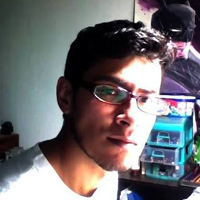 After getting a degree in design, visual communication and illustration at the Faculty of Arts in México City in late 2014 he started his quest to break into the comic book industry. For over two years he has been a regular Sketch Card artist for companies such as Upper Deck, Cryptozoic, Topps, 5FINITY and Rittenhouse on his licensed products for Zenescope, Marvel, DC comics, Ghostbusters, Lady Death, Star Wars, etc. He has also worked as illustrator on independent projects for clients in countries like Australia, England, Canada, USA and México.